Spirit of Speyside Whisky Festival tickets are now on sale (#dram18). The festival celebrates whisky from 3rd -7th May 2018. First launched in 1999, the Spirit of Speyside Whisky Festival’s annual celebration of Scotland’s national drink has developed into one of the largest events of its kind. With a programme of around 500 whisky-inspired events over 5 days, the Festival is a mecca for the curious beginner and the whisky connoisseur alike. 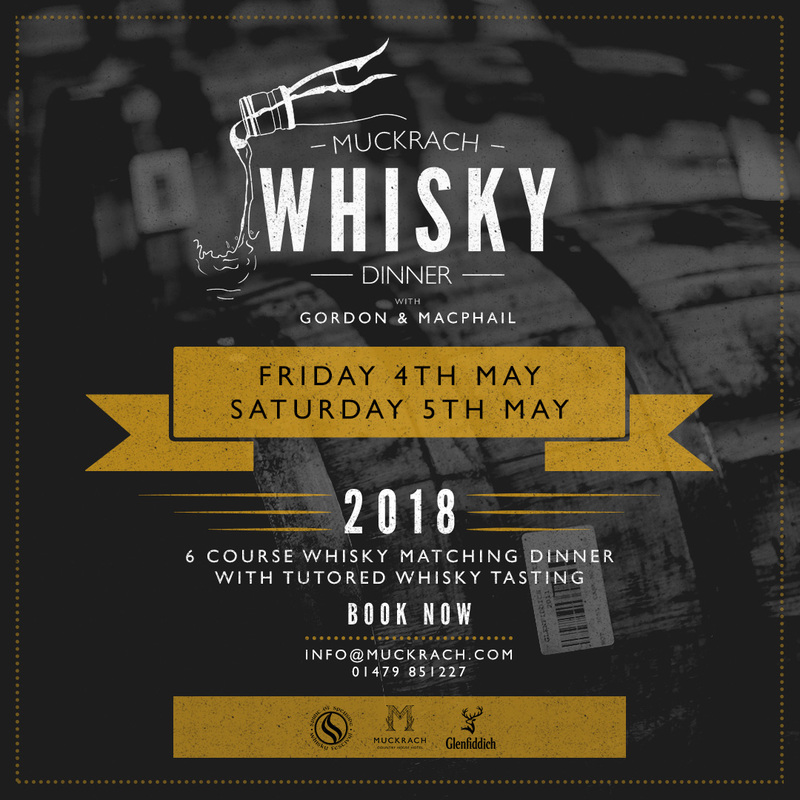 In celebration of this festival Muckrach Country House Hotel have created a 6 course whisky tasting dinner with Gordon & MacPhail on the 4th May (£85pp) or 5th May (£95pp) in this celebration. There will be whisky matching & tutored tastings by Gordon & MacPhail. Head chef Jon has designed a perfect matching menu to go alongside the selected Whiskies.